You can tell a lot about a person by the way they play basketball. Ball hogs on the court tend to be ball hogs in life; the guy that plays tough D and sets good picks is probably just the kind of dude you want on your side during life's crunch times. Barack Obama turns 50 today, with all of the attendant fanfare and celebration. He's the best (only?) 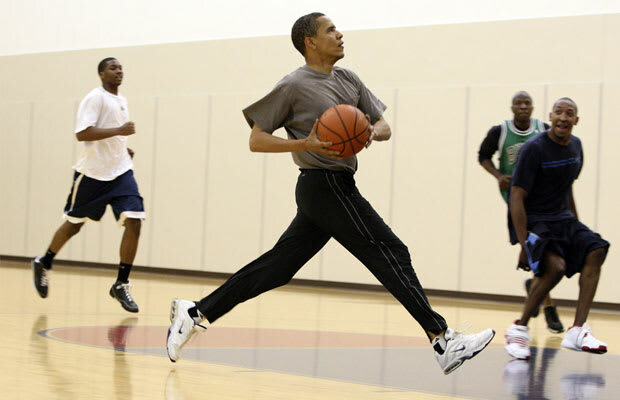 basketball-playing president we've ever had, but what does his game say about his politics and governing style? Click through our exhaustive look at his playing style to find out.